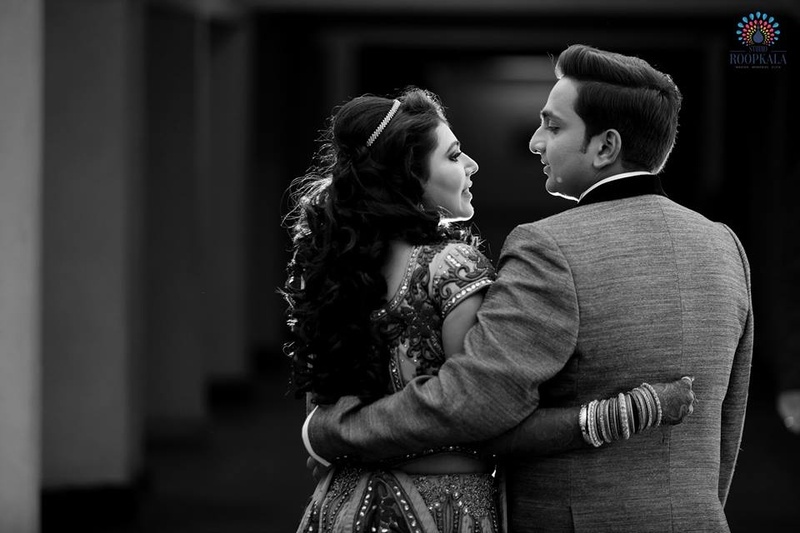 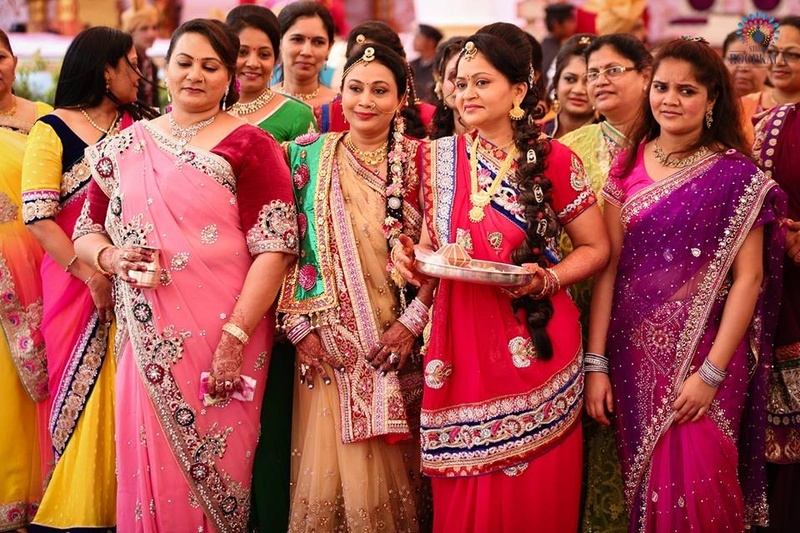 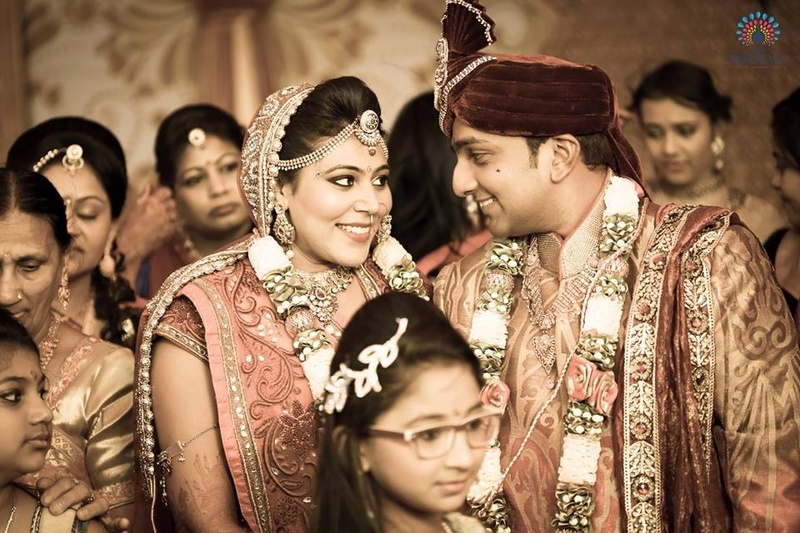 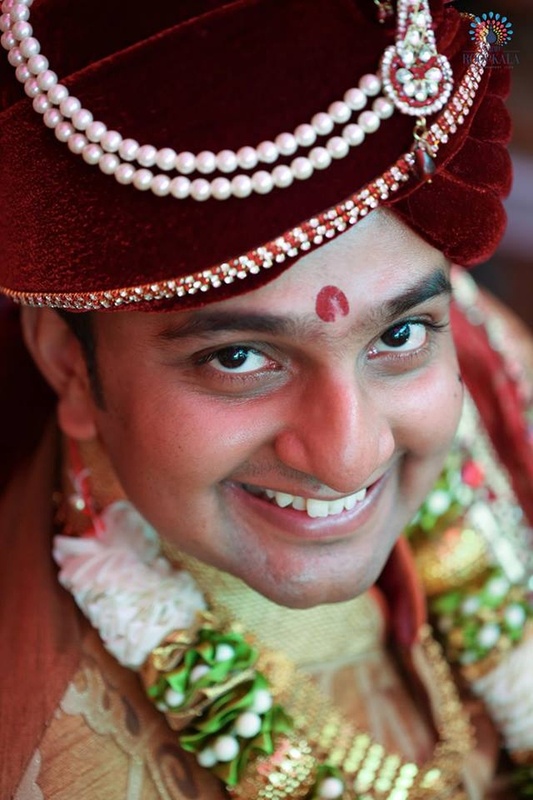 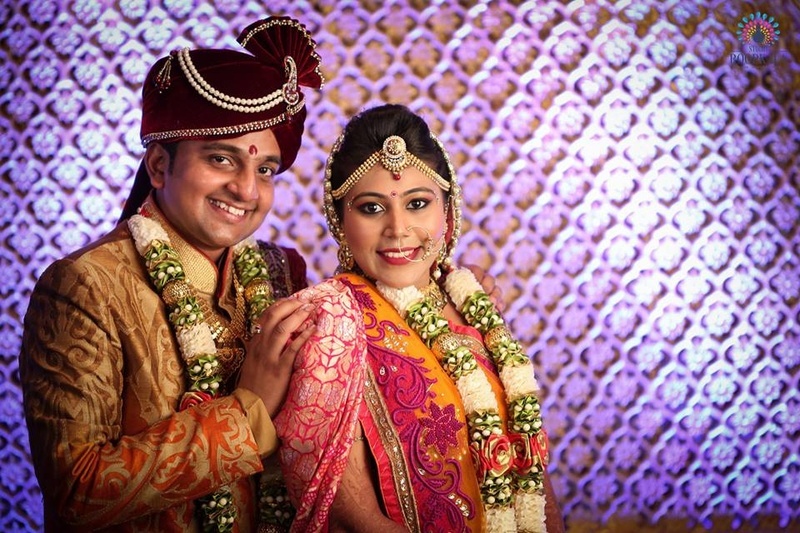 A Big Fat Gujrati Wedding that was absolutely true to its name! 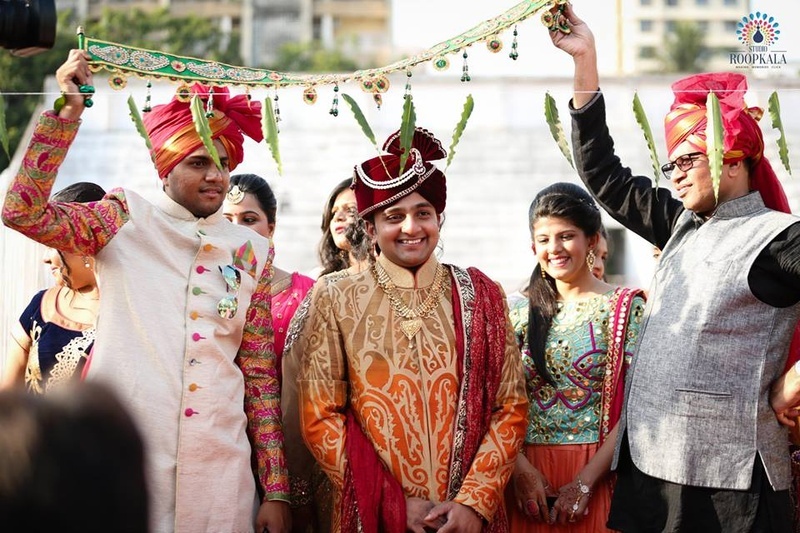 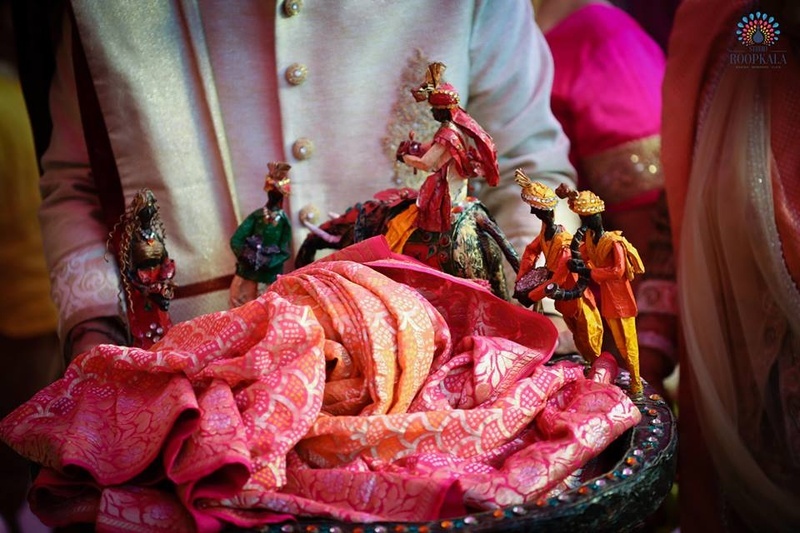 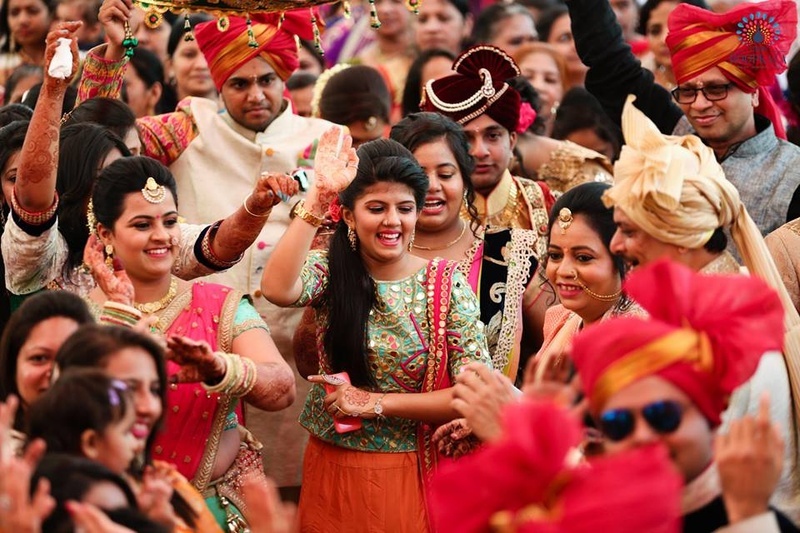 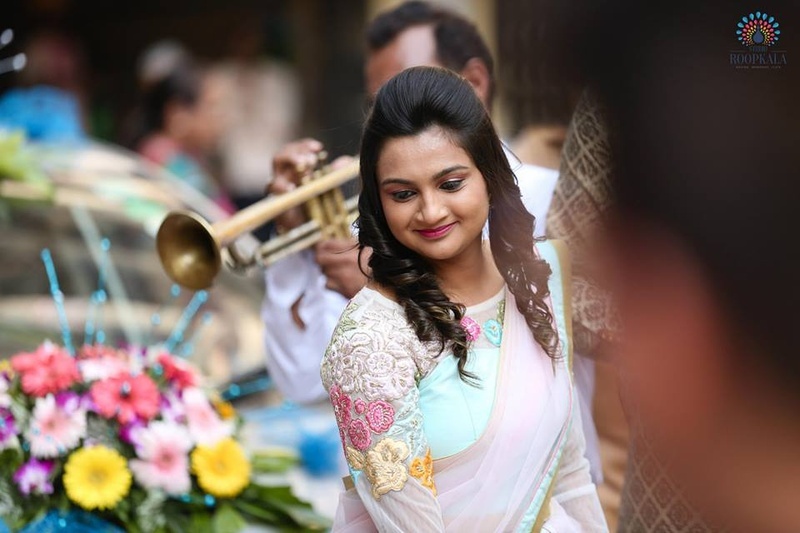 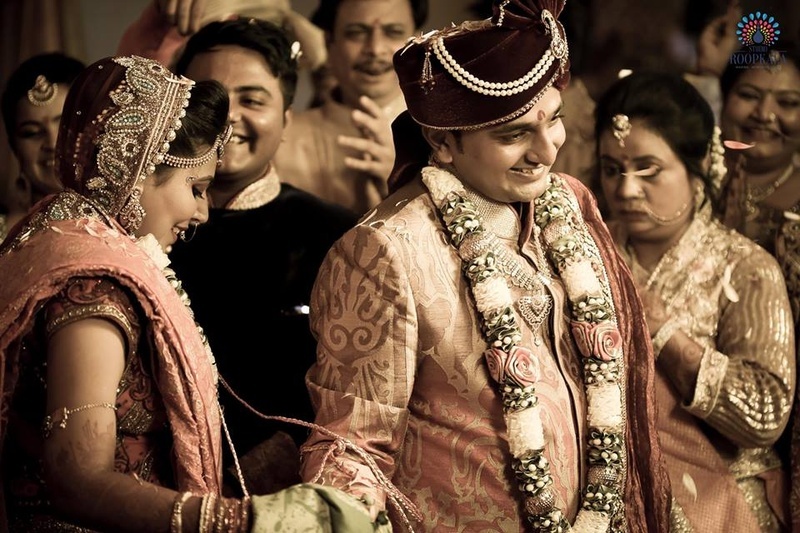 The celebrations began with the 'Grand Baraat' or 'Samayu' as the Gujarati’s call it, where the groom's family and friends danced crazily to the beats of the loud band-baja towards the wedding venue. 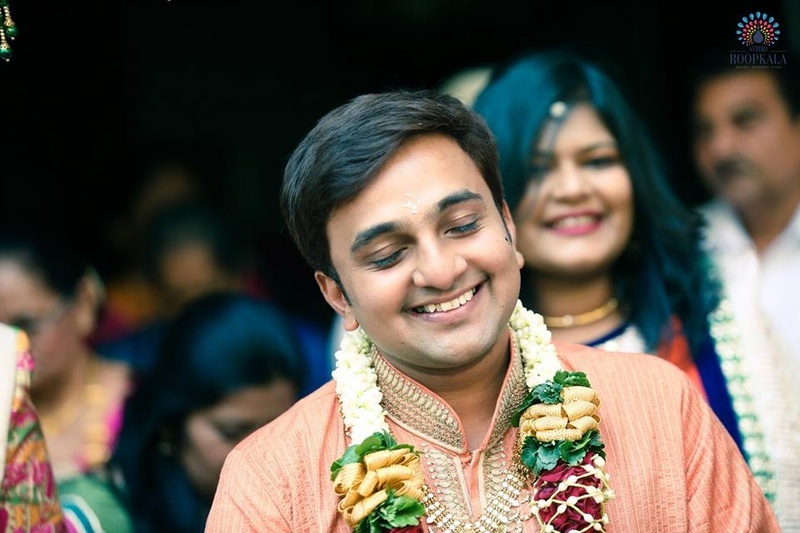 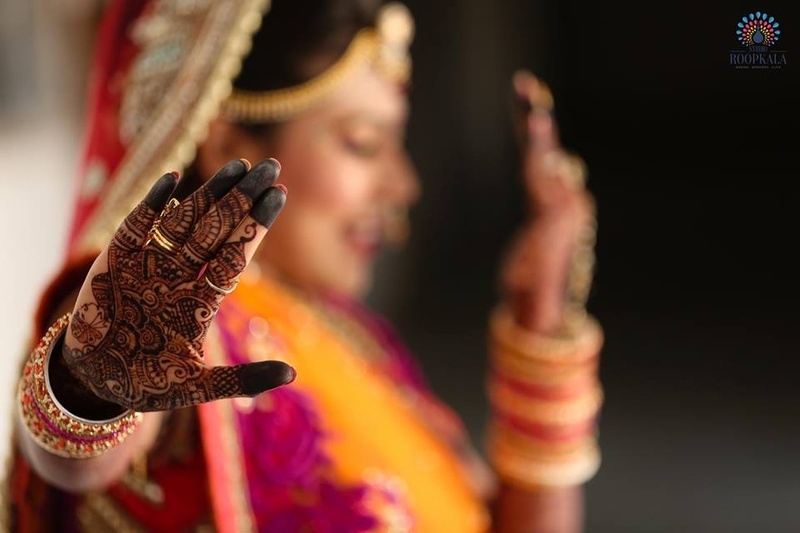 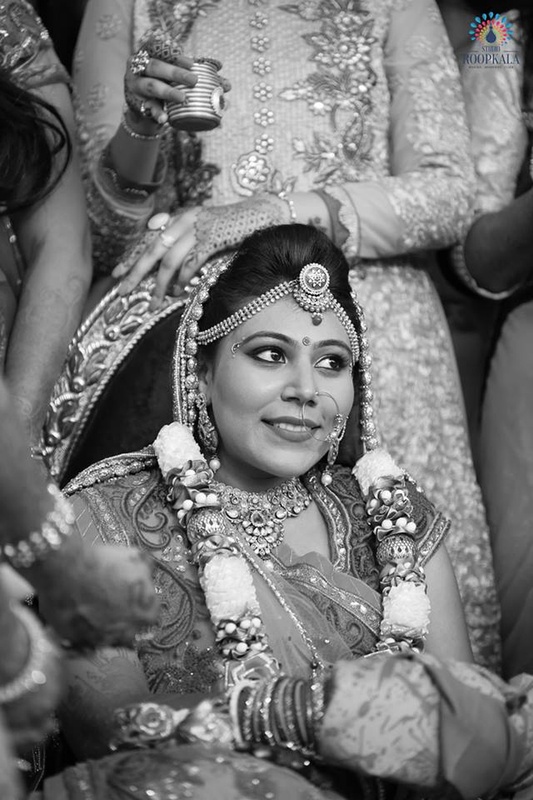 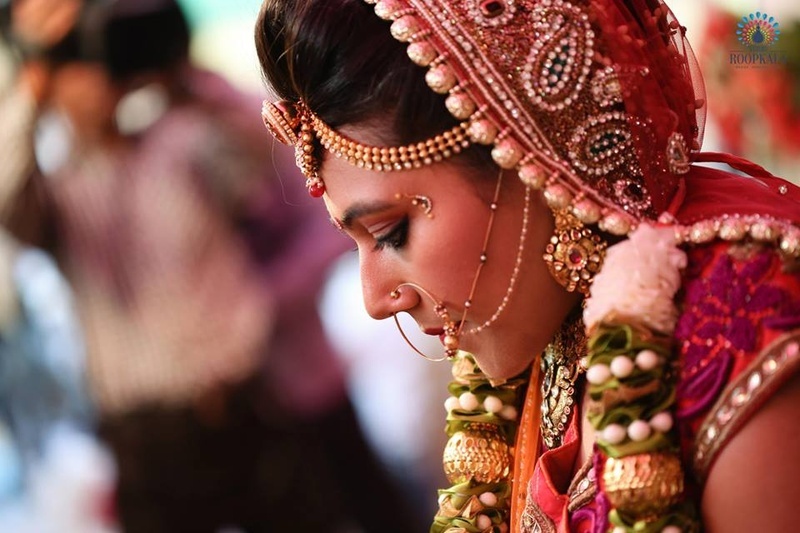 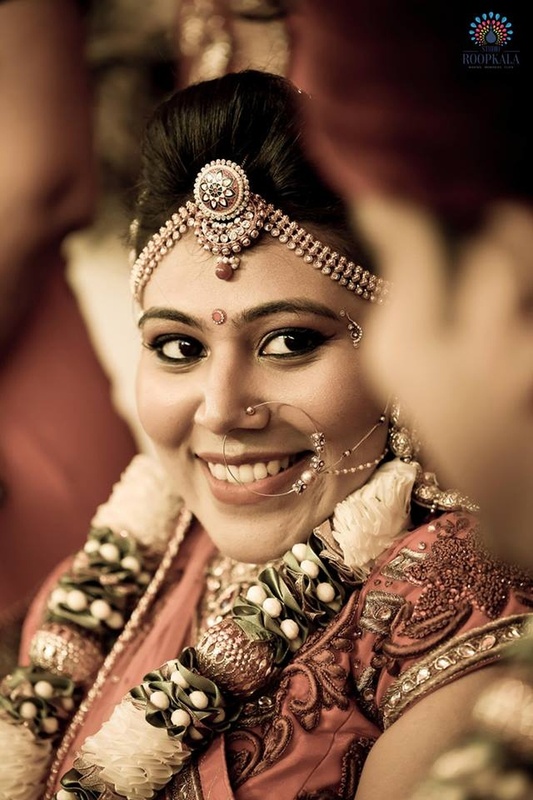 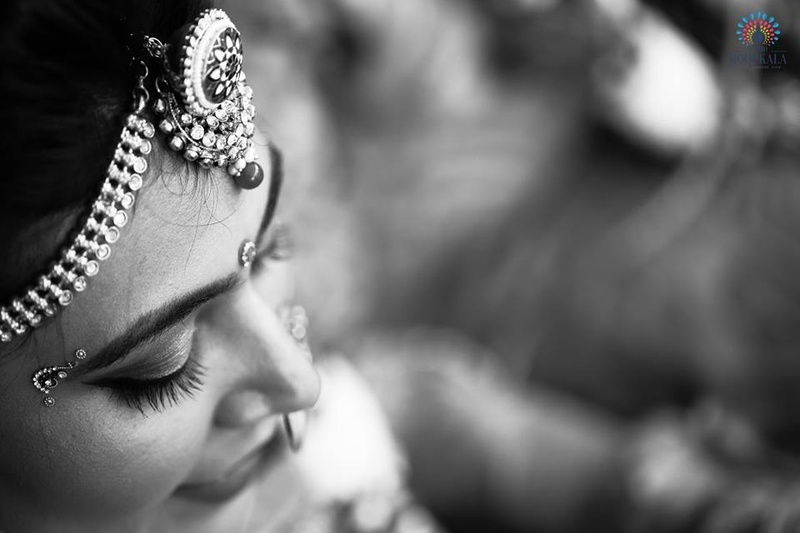 As per tradition, the bride's mother greets the groom at the entrance of the venue with a pooja thali to welcome him, and then playfully tries to grab his nose known as 'Ponkhvu' or ‘Naak Khichai’. 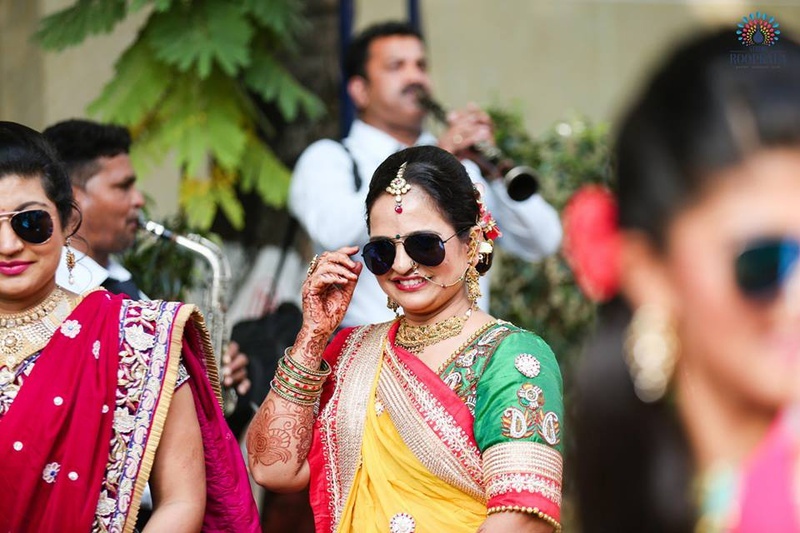 The reason behind this ceremony is to remind the groom that he has come rubbing his nose to the girl's doorstep asking for her hand in marriage – What an adorable tradition! 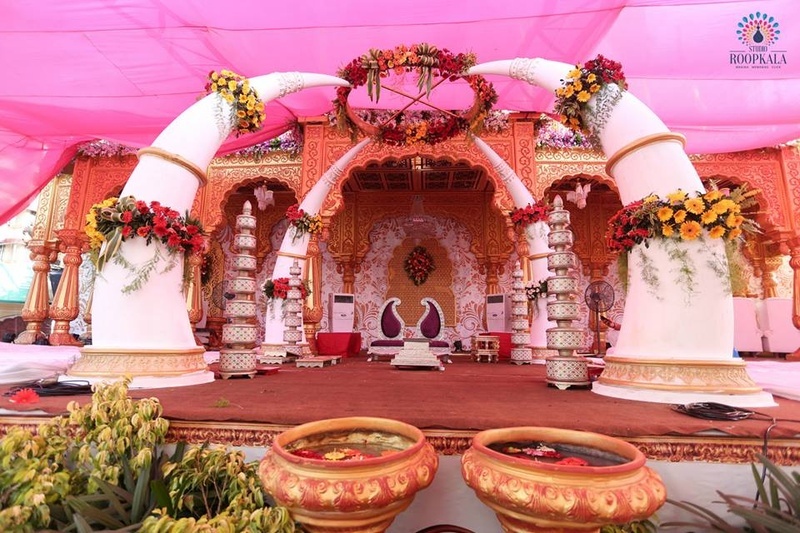 The Saat Phera ceremony was held at an outdoor Vedi Mandap majestically decorated with elephant tusk-like sculptures, ethnic brass pots, ascending pottery arrangements and gorgeous fresh flower décor – a set-up that truly left us spellbound! 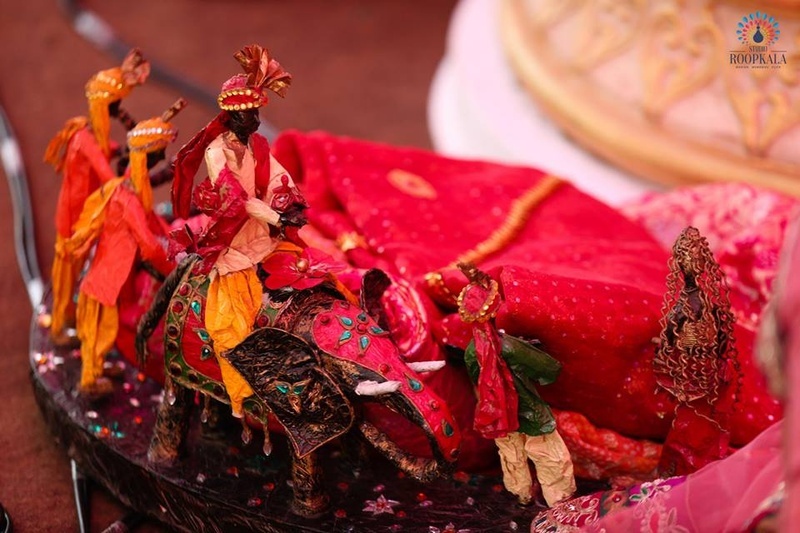 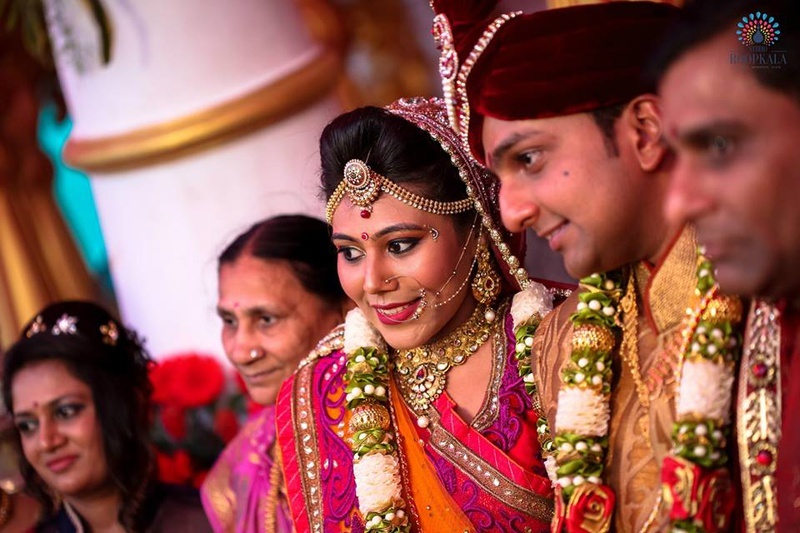 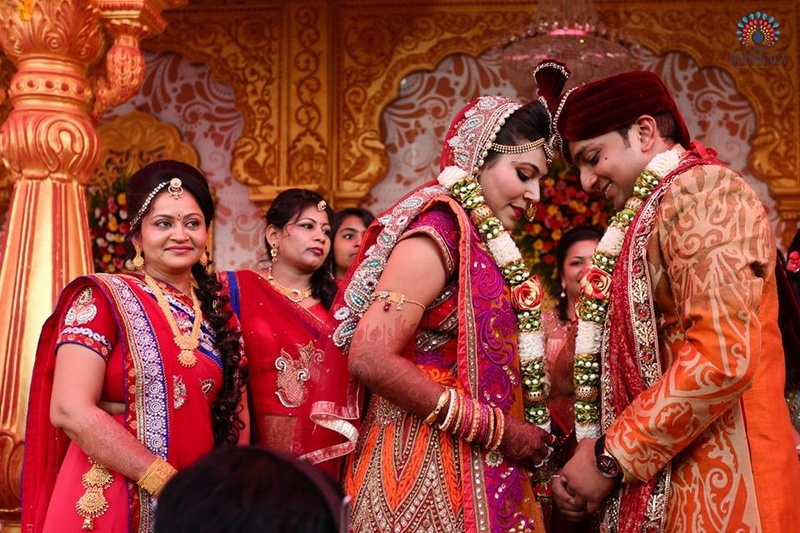 The bride and groom both wore traditional outfits that had common hues of gold, orange and red. 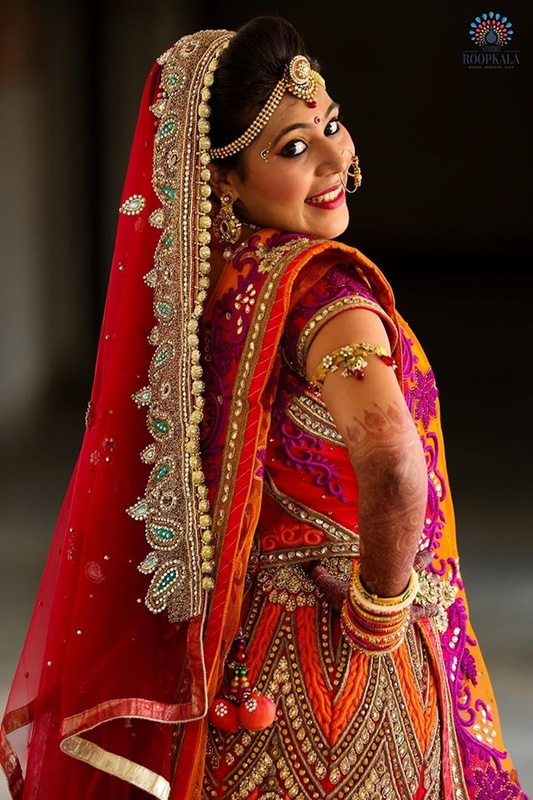 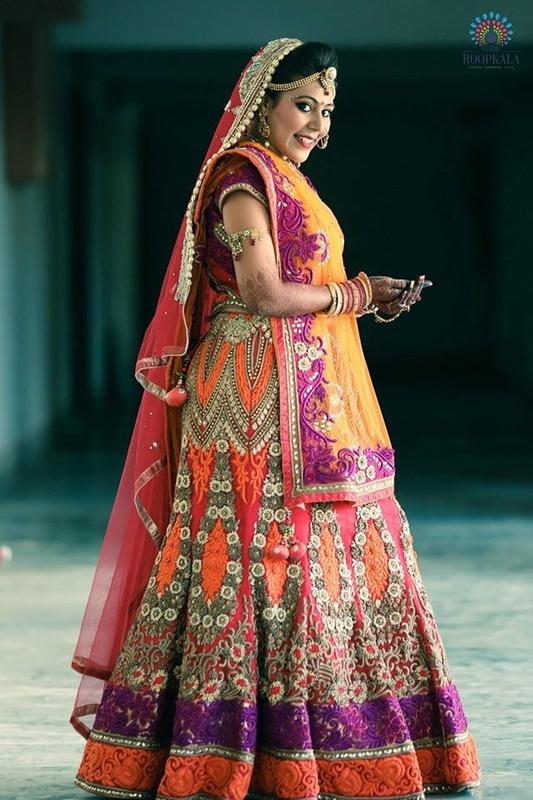 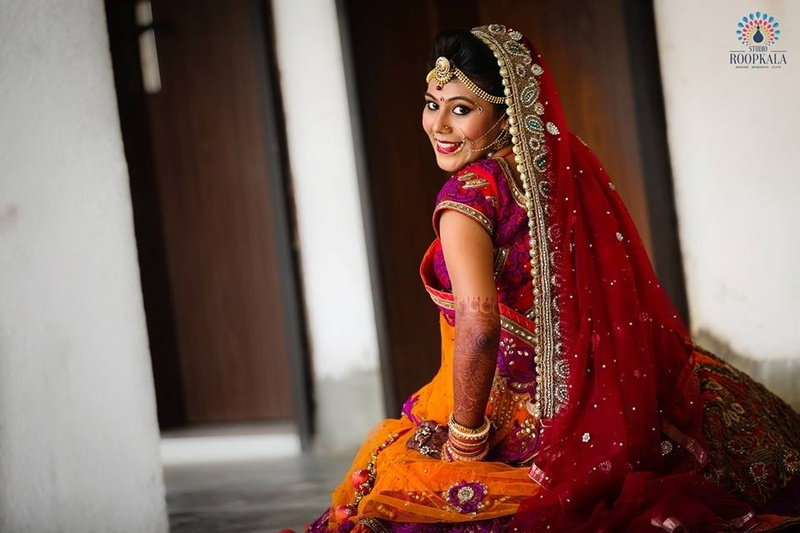 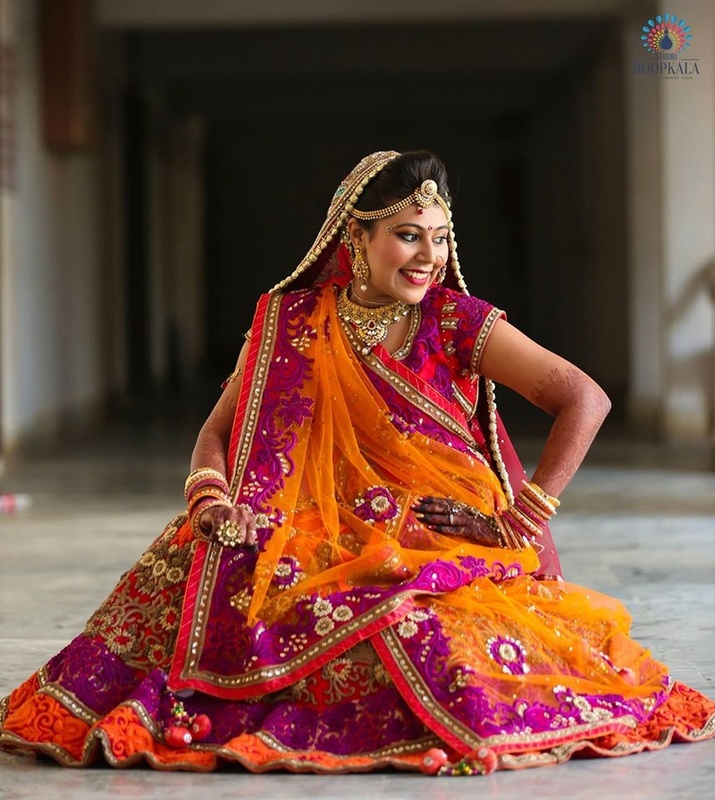 Kinjal’s two-toned wedding lehenga was heavily embellished with purple and orange floral thread work, sequins, beads and faux pearls. 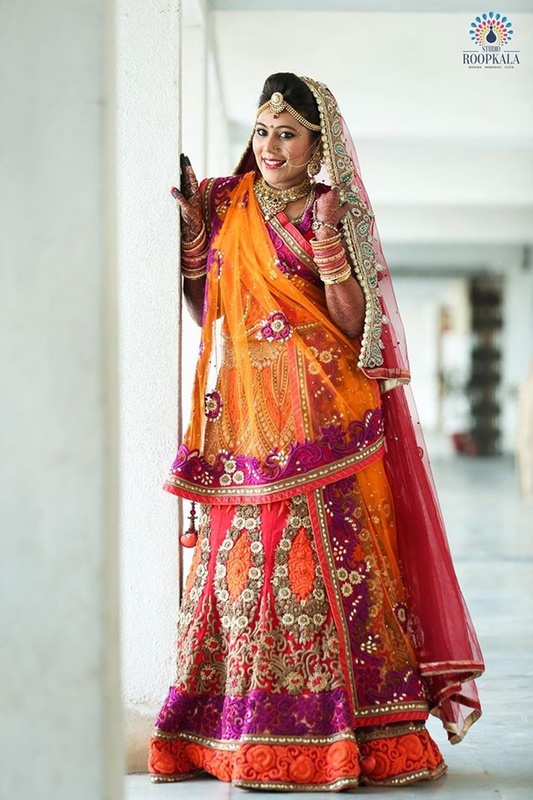 She paired her outfit with a sheer orange net dupatta that was beautifully embellished with a scatter of stones. 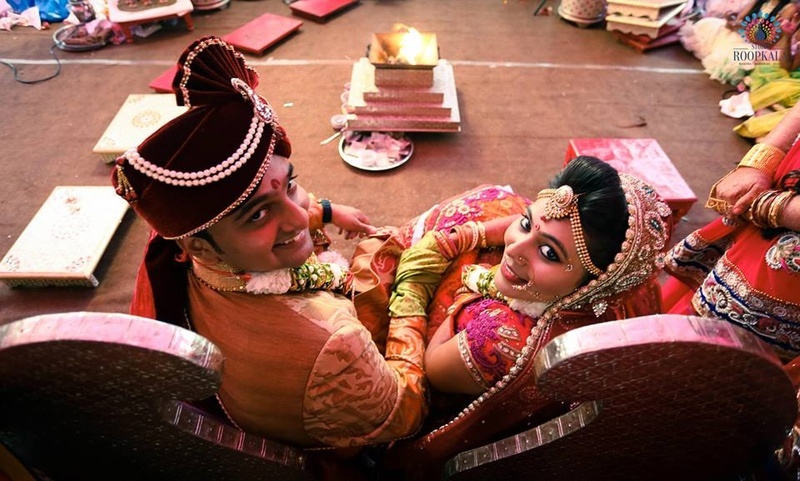 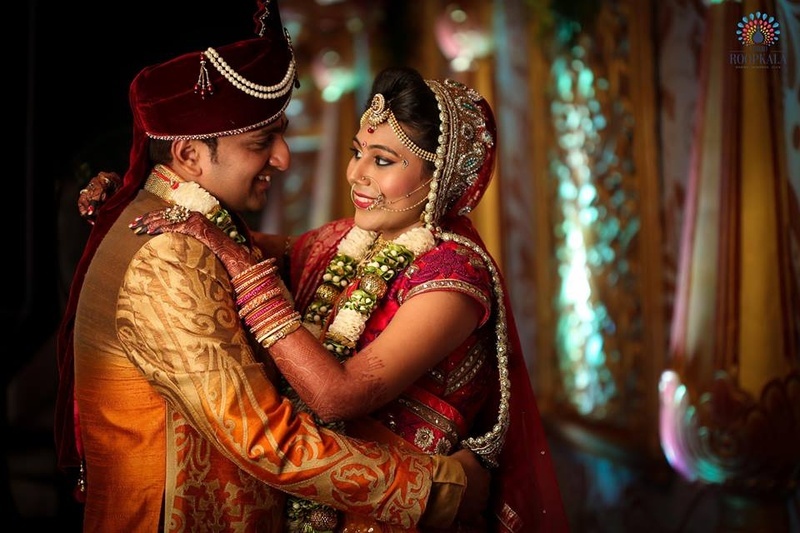 Viral too, went with a double-toned orange and gold bandhgala sherwani that had stunning paisley patterned weaves all over – This color-coordinated couple perfectly complimented each other’s outfits and hearts – you can see it in their eyes. 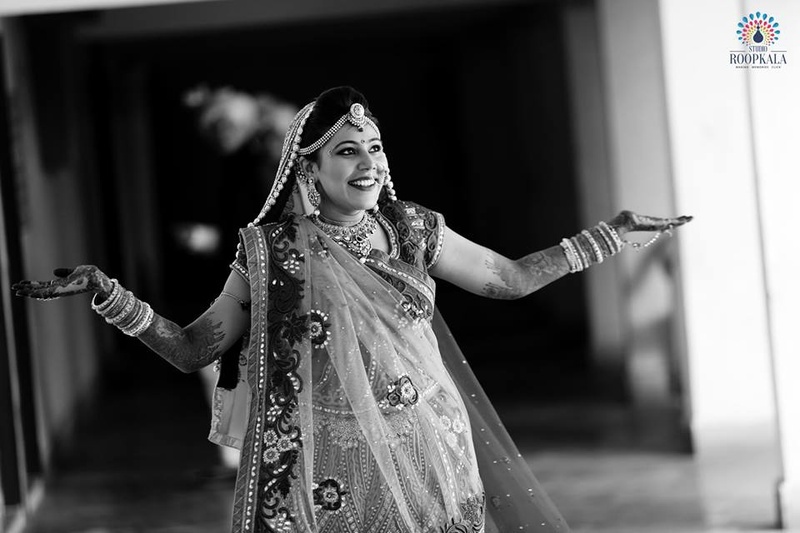 Studio Roopkala did an amazing job behind the viewfinder, successfully capturing every precious moment from this Big Fat Gujrati Wedding! 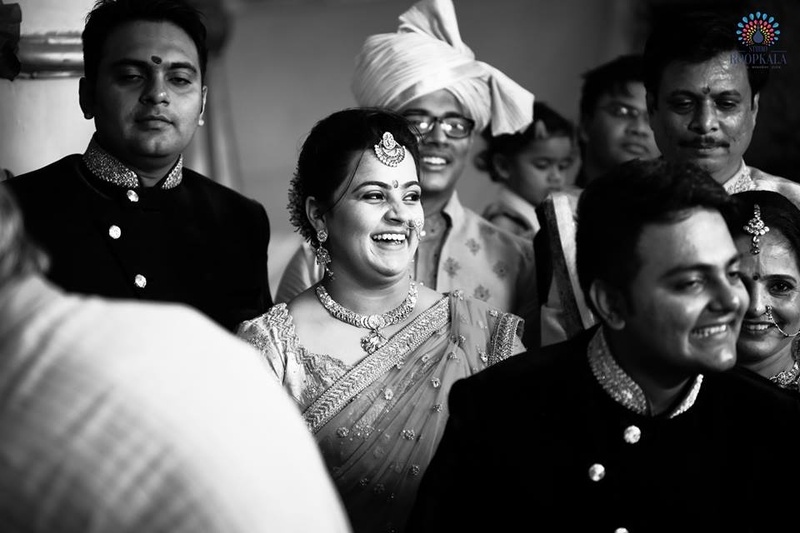 Let’s have a look at a few images right here. 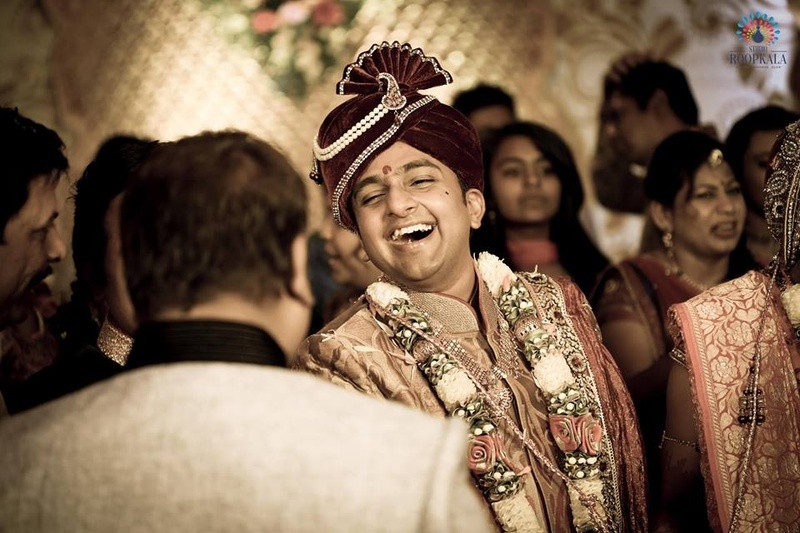 A smile so contagious and heartfelt - too happy to be married! 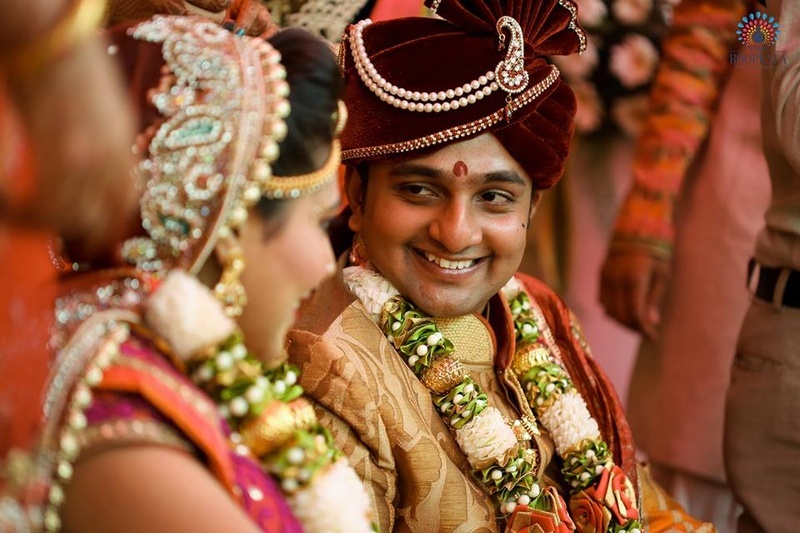 Looking into each-other's eyes, Studio Roopkala captured this love overloaded image FOREVER!